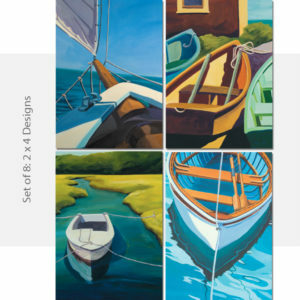 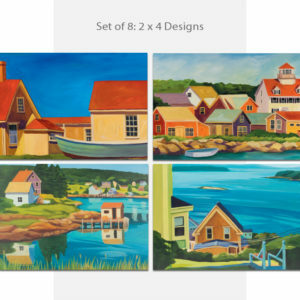 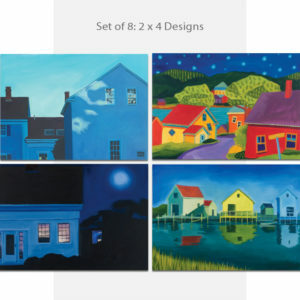 An instant stress-relief for your friends and family… These coastal art card sets are created from Catherine Breer’s landscape paintings. 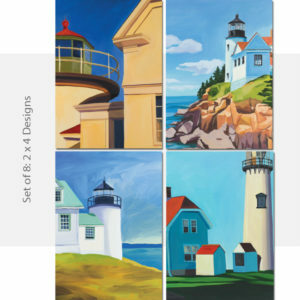 Four cardsets in the Romancing series let us rekindle the seaside romance. 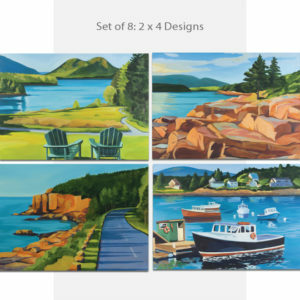 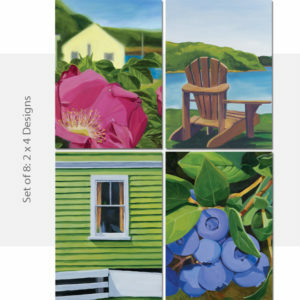 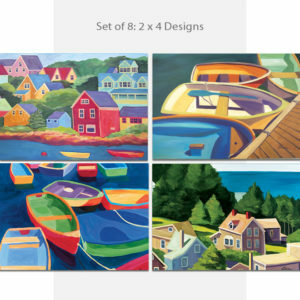 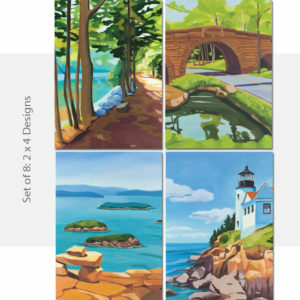 Four cardsets in the Coastal Charm series celebrate the natural beauty of the coast and the Acadia National Park. 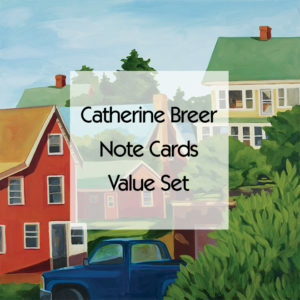 Each card set contains 8 blank cards, 2 each of 4 painted scenes, and 8 envelopes.